Although not many of us technically live on the beach, the current trend is to bring the beach feel into your home anyways! Coastal decor is a mixture of classic/timeless with relaxed and calming. It mostly involves soft textures, traditional lines, and neutral or pastel colours. What I love most about this decor style is that it’s very simplistic and feels like a breath of fresh air. Whether you live oceanview or you’re here in the Great White North like I am, here’s a few tips on how to achieve that perfect beachy feel. 1. Natural elements are the foundation. A jute rug, teak coffee table, and burlap center piece will incorporate the natural elements that bring the outdoors into your home. 2. White, everywhere. Coastal style is about the simplicity and freshness of the sand, sky, and sea. Using white furniture and a light colour on your walls will allow the room feels open and airy. However, I would suggest using white slip covers on your couches/chairs as you KNOW you will need to have easy access to wash those! 3. Blue or green pops of colour. 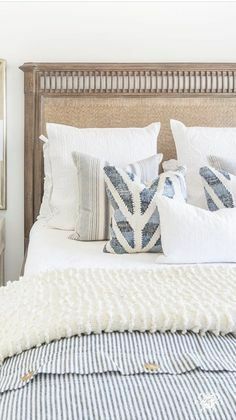 Adding those soft blues and greens through the use of pillows, throws, & accessories will bring the ocean into your space and add some interest into your primarily white room. 4. Natural light. The easiest way to make a room feel open is by allowing as much natural light in as possible. Avoid heavy drapery – window treatments should be kept minimal. 5. 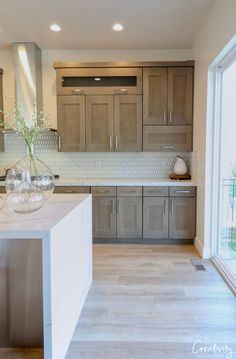 Natural woods or white wash. In my opinion – the more wood, the better. 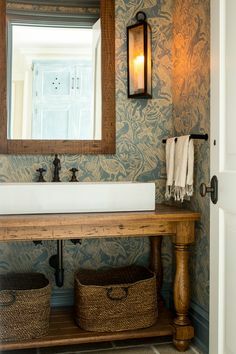 I love beadboard on the ceiling or in a hallway. Create paneling or wainscoting wherever possible and give it a crisp white wash.
6. Don’t overdo the starfish, anchors, and fishnet decor pieces. 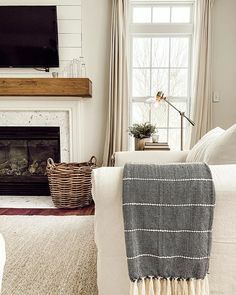 Remember: the biggest theme in coastal decor is the simplicity and subtleness of it. Make sure your room doesn’t look like a mermaid threw up all over it – a starfish center piece and a oceanview art piece is all it takes to complete the look. I'm an online colour consultant, rustic decor addict, and Friends fanatic. My husband & I bought a little fixer upper in a small town and are living in dust as we renovate it top to bottom.